There are lots of different options of wedding bouquet shape and that shape will reflect your personality the style / theme of the wedding. It will also have to work with the type of wedding dress that you have, whether full skirt, plain or embellished. 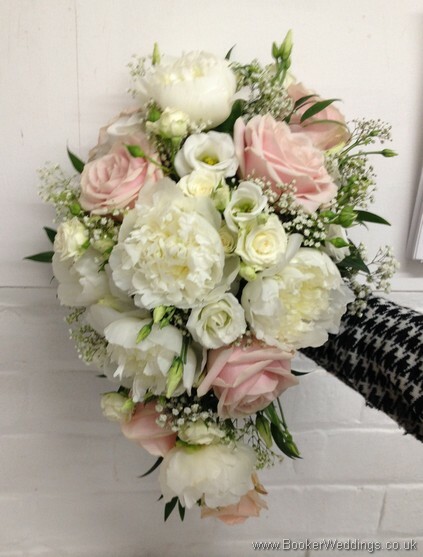 Shower Bouquets is a term used to describe bouquets where the flowers are flowing downwards. These look fabulous with a full skirt on your wedding dress. This can be done with a formal or informal look. 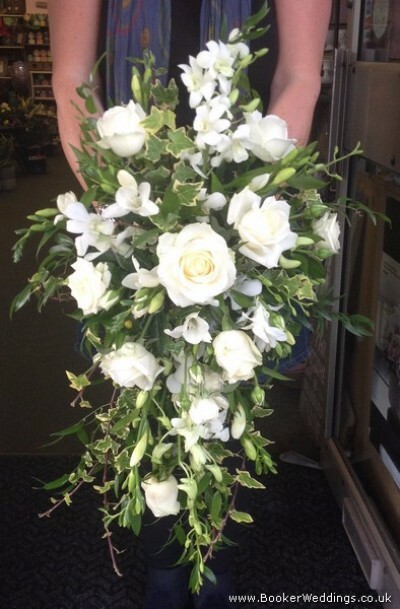 It is designed with lots of overflowing flowers and gives a full, luscious look. The more formal designs tend be one colour and to not have much greenery, whereas informal can have lots of different textures and greens in the trails. These bouquets look great with mermaid or fishtail dresses. 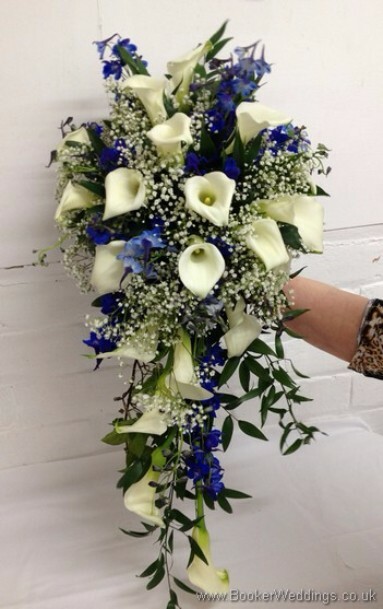 In this type of shower bouquet the flowers are arranged to create an illusion of an elegant teardrop shape and they narrow at the tip of the bouquet. 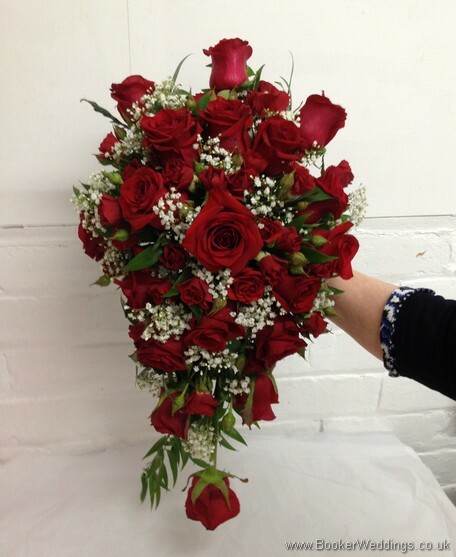 The flowers tend to be more tightly packed then the cascading shower with minimal greens. These look great with 1950 style skirts.